What is the FLEET of Fog? "Fleet of Fog" is a name given to a mysterious mighty force that dominated the world in the 21st century in a fictional story produced and shown in the anime, “Arpeggio of Blue Steel (Aoki Hagane no Arpeggio).” The fleet, composed of an enormous amount of unmanned AI-controlled warships that emerge as reproductions of WWII-era battleships and submarines. However, these ships are not so “out-dated”, equipped with technology that exceeds anything that humanity had achieved. We are inspired by this mighty force and we seek to dominate the blitz community. Why should I join FLEET? While we remain as one clan and strive to play with cohesiveness, our clan is divided into unique divisions. The purpose of which is to train more efficiently with having each of our officers taking responsibility of ensuring adequate attention towards their division members. Vires praeparatio! Discord - We are a Discord clan. Aside from requiring every clan member to join discord, we expect activity from each member. Specifically, checking in on clan announcements, participating in discussions, utilizing voice or text communications and requesting for platoon mates. We will not take in any violators of EULA. The account you join us with is your primary account you have commitment to, even if you have an account on a different server. A member will not have multiple accounts on the same server as it is a violation of EULA. 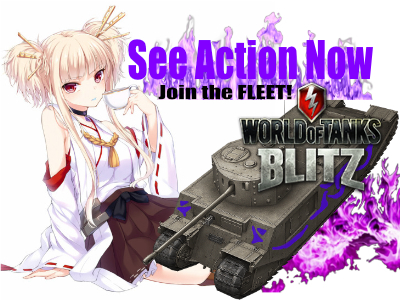 Please contact Chobit1chi, if you're willing to go FLEET! Edited by Kongou_of_Fog, 13 June 2017 - 04:01 AM. Left the clan for some bad reasons and the darkness behind the center. Edited by Vladimir_Kroatchev, 03 January 2017 - 01:15 AM. 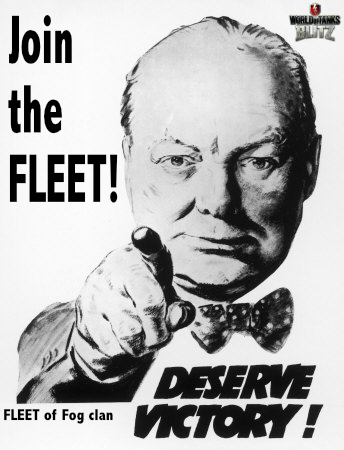 If you like to platoon and are in it to win it FLEET is the place to be! Since I joined my WR has sky rocketed. My platoon WR is better than it's ever been. We use discord chat app which gives us a major advantage. See you on the battlefield! Edited by chefejl74, 08 August 2016 - 04:42 PM. they said post something nice while on discord & this is it. Definitely a fun clan but with the right attitude and goals to be a menacing force on the battlefield! Thanks for all the support guys! Edited by Kongou_of_Fog, 08 August 2016 - 04:51 PM. Good clan, reliable players. Definately recommend giving them an o7 on the battlefield! I can't endorse the recruitment post enough! Our Clan is growing stronger every day by way of teamwork, teaching one another, having each other's backs on and off of the battlefield, and growing to be a real family with our amazing Discord server and many channels - and using these channels to discuss the ins and outs of the game, just getting to know one another, and maintaining that relaxed state of mind that is needed when playing a game like BLITZ! We consider ourselves a match to anyone until proven wrong on the battlefield (which DOES happen) - but we learn from even our losses, and then grow from them! You mean the Clan Supplychest? We have the Tier VIII Warchest completed. We are waiting for the Tier IX. A seriously great clan. Very active and engaging. Full of some great people. 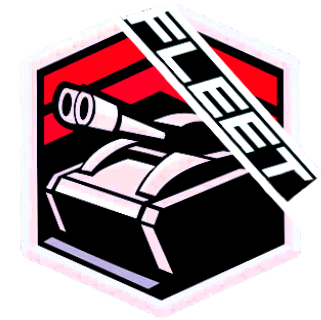 I look forward to the future of FLEET and encourage anyone that wants to game with a good group to apply today. Haha good luck with recruiting and o7. Also you guys don't happen to play WoWS do you? Some of us do, I haven't since my PC has had a driver failure. Edited by Kongou_of_Fog, 08 August 2016 - 05:58 PM.